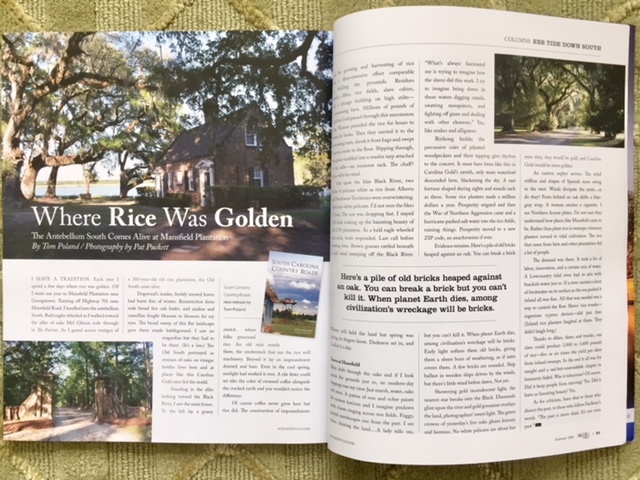 Recent Recognition - Pat Puckett Fine Art - Art from the "Low Country"
Pat’s photography of Mansfield Plantation was included in the Summer Issue of “SHRIMP COLLARD AND GRITS” Lifestyle Magazine featuring Tom Poland’s article “Where Rice Was Golden”, The Antebellum South Comes Alive At Mansfield Plantation. 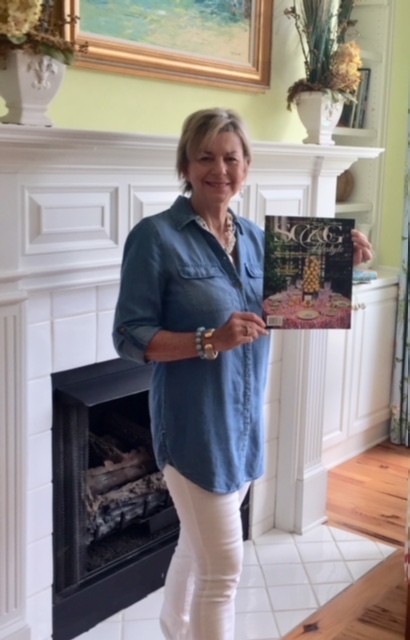 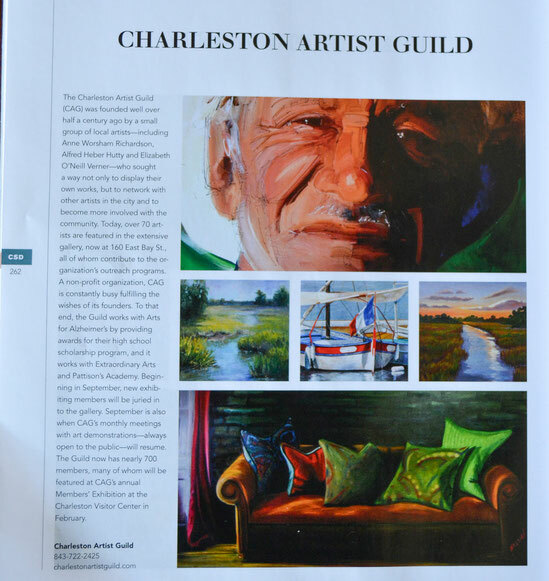 Pat was recently published in the Grand Strand Magazine in an article about her paintings being selected for use on the poster for the 2015 "Wooden Boat Show"
Pat's work was selected for use in the magazine, Charleston Style and Design. 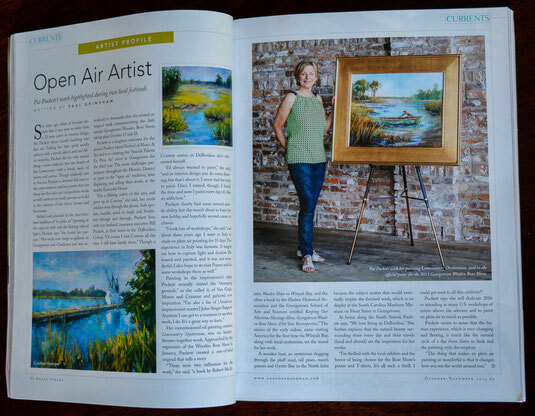 Her painting "A Special Place", is in the middle row on the left, in the displayed magazine page.